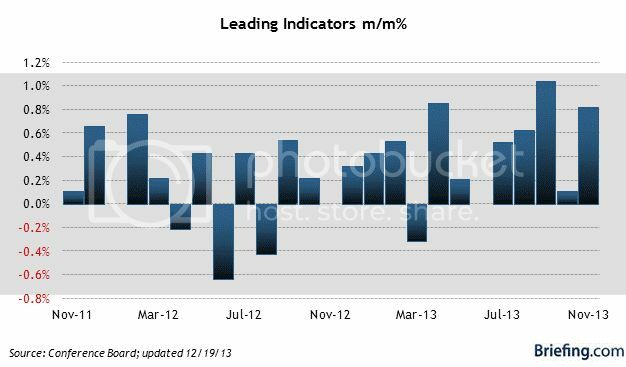 This week's edition of Weekly Indicators is up at XE.com. 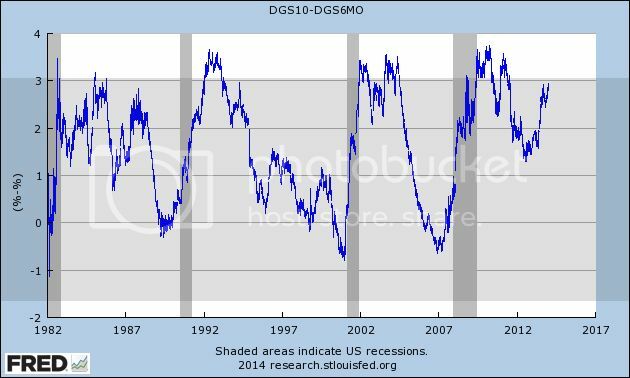 Real M2 continues to decelerate, and could turn into a negative indicator within the next several months. Consumer spending has also softened, although the Oil choke collar remains disengaged. 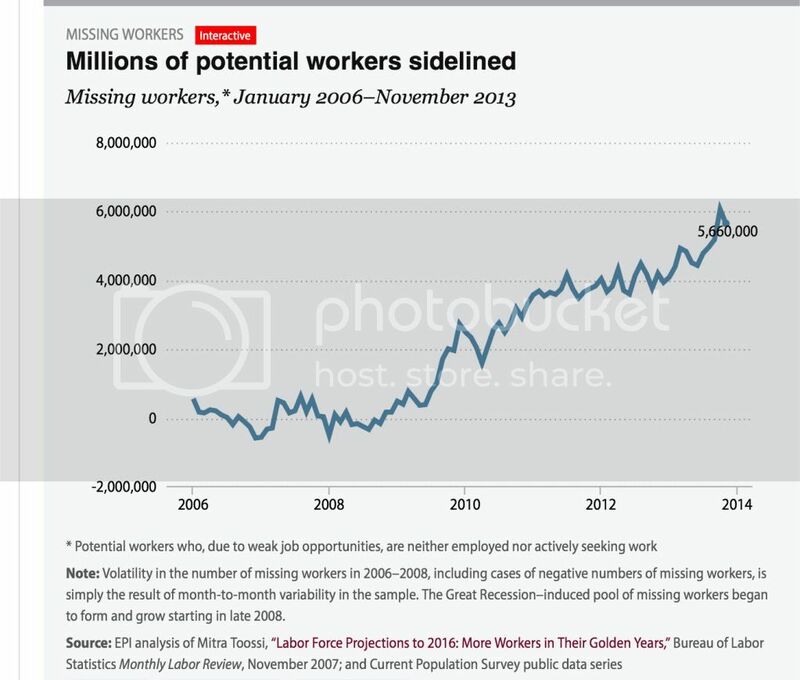 I believe this a far more accurate way to look at the issue, as compared with EPI's "missing workers" estimate. The numbers aren't pretty now, but note that they also weren't very pretty even before the recession. This is in comparison to the AP job report that printed at 238,000. Looking at the details, we see some very large holes in the jobs data. Retail +55,000 (Remember, the data is seasonally adjusted, so this takes the holiday hiring season into account). Other categories growth was equally paltry. The average workweek for all employees on private nonfarm payrolls edged down by 0.1 hour to 34.4 hours in December. The manufacturing workweek was unchanged, at 41.0 hours, and factory overtime edged up by 0.1 hour to 3.5 hours. The average workweek for production and nonsupervisory employees on private nonfarm payrolls edged down by 0.1 hour to 33.6 hours. 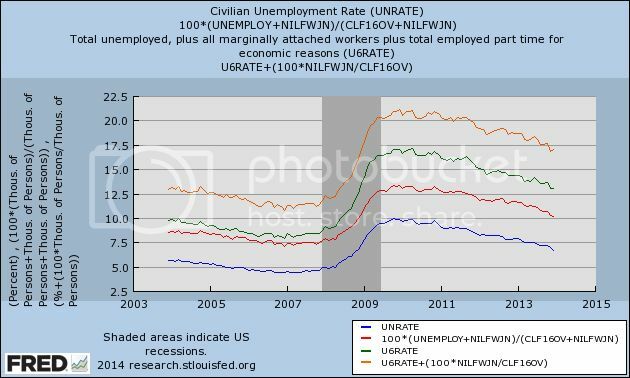 Finally, there is the issue of the drop in the unemployment rate, which went from 7%-6.7%. 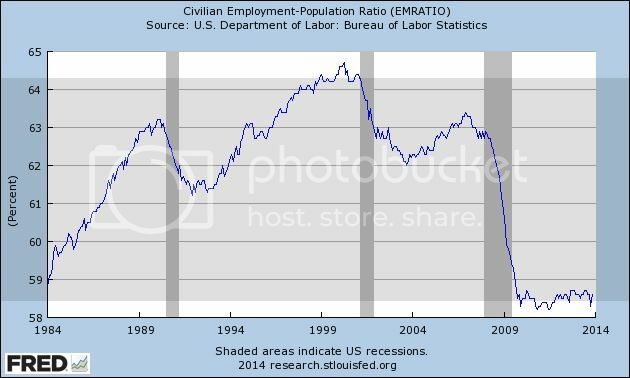 The reason is the drop in the civilian labor force from 155,284,000 to 154,937,000. Put another way, expect to hear more about "people running from the US labor market." A final caveat from Bonddad: I've grown to give this monthly data point release less and less importance, instead focusing on the broader employment picture -- which is still miserable. However, from a practical side, this data point will move the markets because of the size of the miss and the fact it contradicts the "US economy is getting stronger" narrative we've been seeing over the last few months. Today we will get the final employment report for 2013, and the alternative claims are already starting. For example, yesterday Naked Capitalsim is claiming that people over 65 are working more because they can't retire. Even though almost every aging Boomer will tell you that they'd like to work part time after 65 to keep mentally active and socially involved. And those who stayed the course with their 401k's since 2008 have more worth in them now than before the recession. And elderly life expectancy has improved dramatically in the last 30 years. But the real issues are wages and the unemployment rate among working age adults. Let me start by saying that the current rate remains unacceptably high, and Washington should have done far more (like a new WPA for infrastructure repairs, like Bonddad and I suggested four years ago!). But that doesn't excuse faulty methodology in service to a good cause. Both series follow a similar trajectory through 2011, but the official Census Bureaur data never shows an increase of more than 2.4 million, and declined to 1.2 million in November, whereas EPI shows a total of 6 million in October of this year. The second problem with the EPI's methodology is that it makes use of the less accurate, more erratic employment number from the Household Survey, rather than the Nonfarm Payrolls employment number from the BLS, which has a much larger sample size. The issue here is that, since January 2012, the payrolls report shows that almost 4 million jobs have been added to the economy. The Household survey, however, shows only 2.8 million jobs added, a deficit of 1.2 million jobs. Almost everyone concedes that the nonfarm payrolls employment number is more accurate. Further, most economists expect the more erratic Household Survey number of employed to resolve closer to the trend in the Payrolls report. Ordinarily, that's not a problem. But because the EPI's "missing workers" methodology compares job growth against a target (projected civilian labor force from 2006), EPI essentially makes that entire 1.2 million difference part of the enhanced unemployment figure. To cut to the chase, if the EPI's report made use of the nonfarm payrolls number for employment, their alternate unemployment measure would have fallen by about an additional 1% in the last couple of years, and would be following a similar downward trajectory as virtually every other measure of unemployment. In fact, if the nonfarm payrolls reports are accurate, then EPI's measure becomes virtually impossible. That's because, as shown in blue in the graph below, the population increase for those age 16 and over since the beginning of 2010, the bottom for employment in the Great Recession, is about 8 million. The Payrolls report shows 7 million jobs added, or about 87.5% of the entire working age population increase. 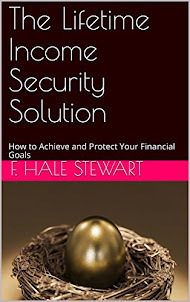 In other words, even under the most pessimistic scenario that can be concocted using the nonfarm payrolls number, the entire working age population plus about 2.0 million people have found jobs in the last 4 years, and 92% of the 4.3 million growth sonce January 2012, or about 1.2 million more thn the most pessimistic employment to populatioin reading. that is a -0.8% decline in the unemployment rate even before we take into account retiring Boomers, just in the last 22 months. But the EPI measure only reigsters a decline of -0.3%, including retiring Boomers. Put another way, if the nonfarm payrolls numbers have been correct, the number of total unemployed including those so discouraged they stopped looking for owrk should have decreased by several million since the beginning of 2012.. And yet the EPI measure has the total number of missing unemployed workers rises almost relentlessly throughout that period, almost completely offsetting the number of officially unemployed workers. That's not just wrong, if the nonfarm payrolls report is correct, it's impossible. Maybe EPI has good explanations for these issues. But without more, it is difficult to see why we shouldn't just accept the official Census Bureau report of those who say they aren't looking (and so aren't in the labor force), but want a job now. The number will be updated later this morning, and I'll have an updated graph that includes that measure for both the U-3 and U-6 (part time and marginally attached workers) metrics. I have a new post up at XE.com, commenting on recent speculation about a stock market crash vs. a pullback due to valuations in 2014, based on YoY corporate profits in 2013. My method of foecasting is pretty simple. In fact, so simple, I call it the K.I.S.S. method. Even though the LEI is the statistic most denigrated by Wall Street forecasters, it has the inconvenient habit of being right more often than the highly-paid punditocracy, especially at turning points. Since I'm not a highly paid Wall Street pundit, I simply rely upon the LEI for the short term, and the yield curve for the longer term with the caveat of watching out for deflation. The simple fact is, with one exception, if real M1, and real M2 (less 2.5%), are positive, and the yield curve 12 months ago was positive, the economy has always been in expansion. When real money supply is negative, and the yield curve was inverted 12 months ago, the economy has always been in contraction. The exception is that the yield curve does not help to project the economy 12-16 months later if the economy at that later date is in deflation - as it was in 1930-32 and late 2008 and early 2009. In the few years I have also learned a lot about the methods of the late Prof. Geoffrey Moore, the founder of ECRI, so I also intergrate his findings about short and long leading indicators into my forecast. This year the forecast methods are consistent for the first 6 months: growth will continue. 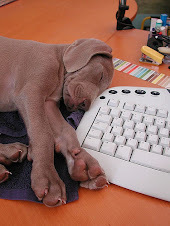 It is in the last half of the year, and particularly in the 4th quarter, that there is more difficulty. 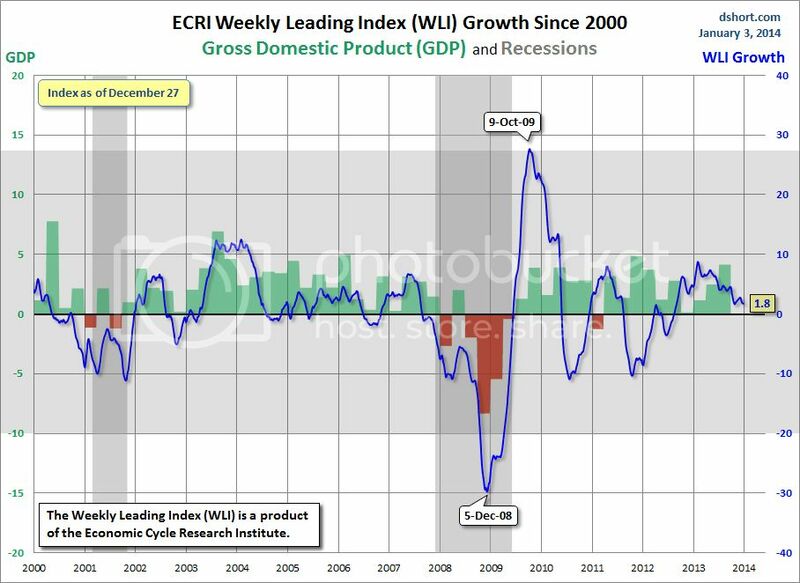 First of all, let’s look at two overlapping but different forecast algorithms with a time frame of approximately 6 months ahead: the Conference Board’s Index of Leading Indicators, and ECRI’s Weekly Leading Index. Both of these are forecasting continued growth over the next 6 months. In fact, the LEI has actually picked up strength in the last several months. 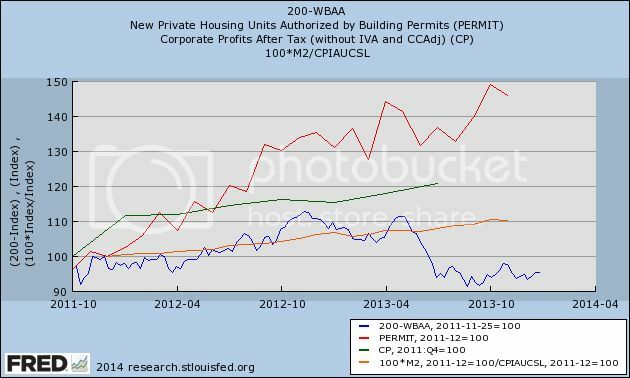 One big difference between the two measures is that the LEI uses housing permits and starts (actually a long indicator) as a component, while the WLI uses the Mortgage Bankers’ Association’s purchase mortgage application index as a component. After sideways movement for most of the year, housing permits unexpectedly rose strongly in October, and maintained that level in November. 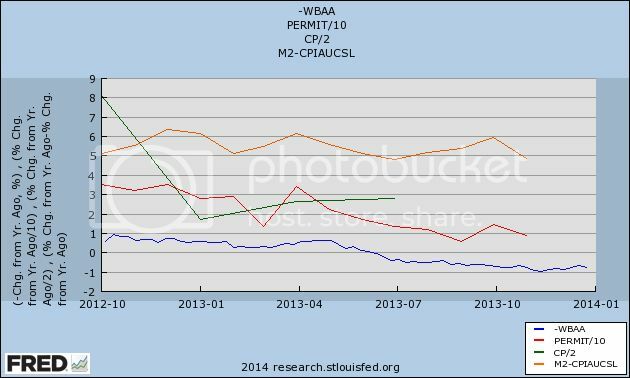 On the other hand, purchase mortgage activity has made new post-recession lows due to the increases in interest rates. One other item worth noting is that there does not appear to be any big surge in gas prices (outside of the seasonal norm) forecast, so inflation should be kept in check, so there should be no “oil price shock” to the economy. Also, it appears that Washington plans on leaving the economy alone this year, so there will not be any new drag from austerity or, one hopes, from a refusal to pay the bills already incurred. 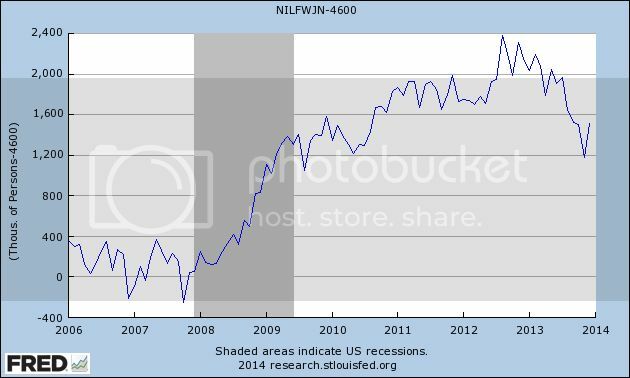 But the LEI and the WLI do not forecast more than about 8 months out. For that we need to look at the long leading indicators. There are two separate ways I look at this. First, when the yield curve and real money supply as measured by M1 and M2 are positive (+2.5% in the case of M2), the economy has always expanded one year later (provided there is no deflation), including during the pre-WW2 era that may be more applicable to today’s economy. By contrast, when both measures are negative, a recession has always ensued. Note that these reliably inverted (i.e., the result was negative) a year or more before the onset of each of the last three recessions (and the same is true of prior post-WW2 recessions). As you can easily see, the yield curve has steepened considerably in the last 8 months, entirely due to the increase in yields for the 10 year Treasury note. Provided we do not expect deflation in the final part of this year, this should mean clear sailing. Interest rates for corporate bonds have increased, meaning that indicator has turned negative. If present trends continue, and based on the last 50 years of history, the odds are extremely good that they will, housing permits will turn negative at some point in the first half of this year. 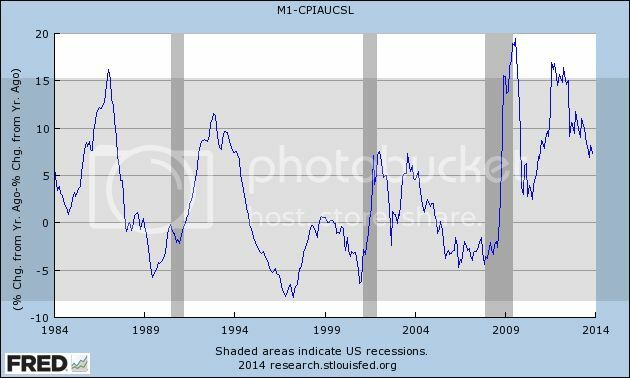 Similarly, if their current trend continues, real M2 will also fall below +2.5% (although I emphasize that I have no data helpful as to whether M2 will or won’t). Corporate profits are a total question mark, although we will begin to get an answer as Q4 earnings are reported over the next month or so. This too has been decelerating, although it remains very positive. In conclusion, unless we expect deflation (and right now I don’t), there is every reason to view the long leading indicators, under either method, as being in agreement that the economic expansion will continue through the end of 2014. On the other hand, the deceleration of most of the indicators, and also the deceleration of the WLI, cause me to believe that the second half will be considerably weaker than the first half. If the long leading indicators turn negative quickly enough and significantly enough, it is possible that we could enter into a recession in Q4. Before ruling that out, I want to see how 2013 Q4 corporate profits play out, as well as the next couple of months of housing and money supply data. But subject to that caveat – that there are mounting reasons to be concerned about 2015 – I look for continued positive readings in employment, wages, industrial production, and GDP through the year. My critique of these optimistic calls is what I laid out at the outset of this article: all of these forecasts, to a greater or lesser extent, engage in coincident-trend-following. Morgan Stanley’s note, for example, cites the coincident indicator of freight transportation, as well as the short leading indicators of the ISM survey and capex spending. Several others take similar tacks. I always caution against using the present progressive tense without extreme care when it comes to economic data. What we know is that housing permits and starts made new highs in October, although permits pulled back slightly in November. We also know that the trend in 2013 was of decelerating growth, as I’ve set forth above. And nearly every other measure of housing, except for prices, has taken it on the chin. In addition to purchase mortgage applications, pending sales just went negative YoY. So, just as I was an outlier to the chorus of Doom beginning at the end of April 2009, I am afraid I am going to have to withhold my cheers now. My forecast is that 2014 will be a year of decelerating growth. 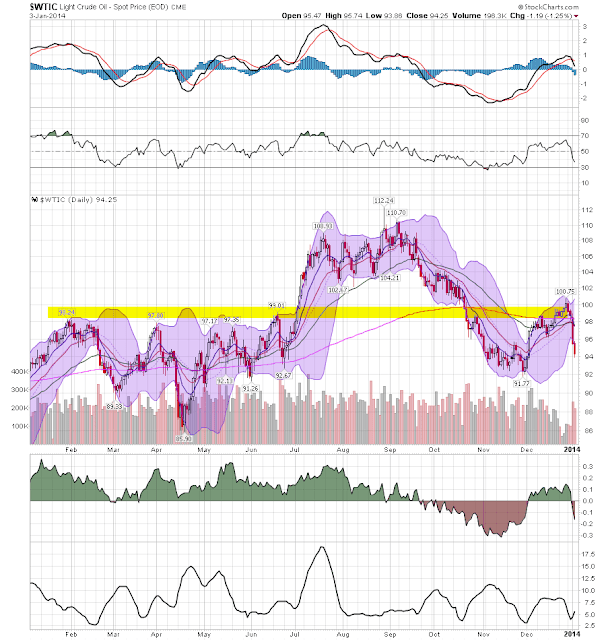 With the exception of the summer driving season (roughly late May - late September), oil prices have met with still resistance in the upper 1990s/100 price area.